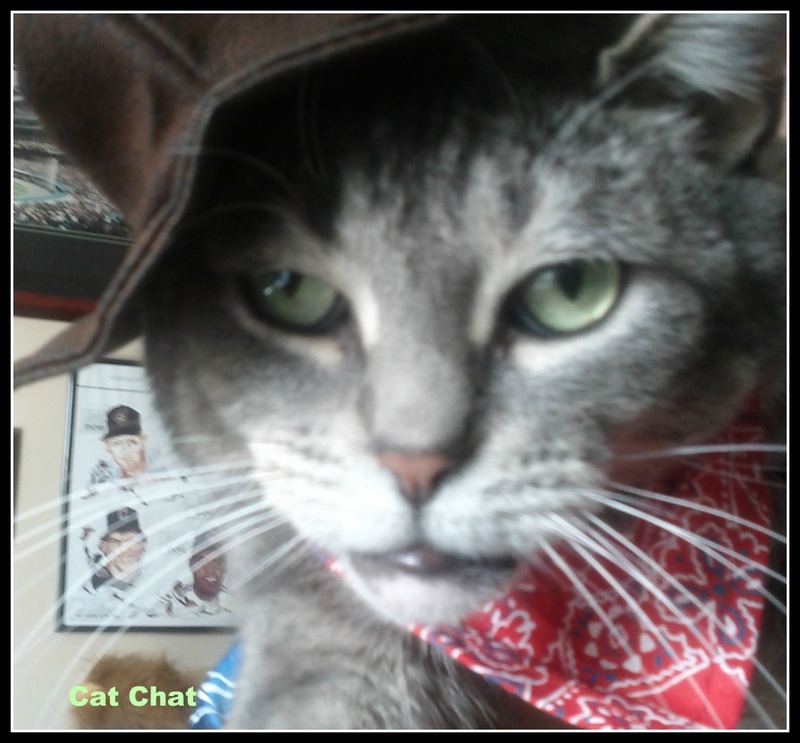 Cat Chat With Caren And Cody: PetSmart Halloween Costumes & "Monster Cute" Photo Contest & Sweepstakes Powered By GREENIES®! PetSmart Halloween Costumes & "Monster Cute" Photo Contest & Sweepstakes Powered By GREENIES®! Hi my kitty pals! It's Cody and boy do I ever have news for you! I was lucky enough to receive a Halloween costume from PetSmart. Wanna see? To see my Halloween costume on PetSmart's website and other great kitty Halloween costumes that they have, click HERE! You look so cool Mr. Cody !!!! Great costume ! Purrfect Cute Kitty ! I think I've seen you in one of Wild Wild West movies and you're the most handsome, smartest, bravest kitty. The costumes are so cute! Pawsome idea! I purr to Cod Mom is not reading this post... shudder. How fun! It looks great on you! Cody, that's purrfect costume for you. We'll check out the contest. What amazing cowboy you are Cody!!!! Wow, Cody, you are one tough cowboy! Happy Halloween! @Cat Wisdom 101 thank you!! My Mom thought so too!! She was laughing hysterically when she put it on me. I didn't see what was so funny! @Macho and Nicole thanks so much!! @Fin I DEFINITELY feel your pain my friend! Trust me! MOL! @Luna yep PetSmart has some super cute and inexpensive ones! @Max yep PetSmart has some good ones! I am hoping your Mom dresses you guys up too! Cody, those sure are some great costumes. 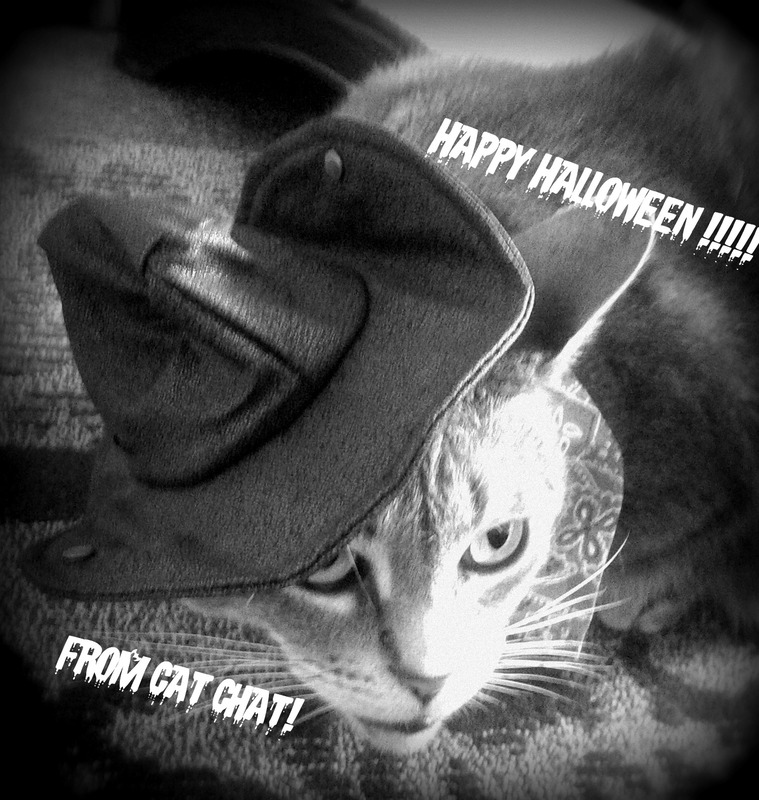 Thanks for the link to get some things for the kitties for Halloween. We are going to go order a few things. Have a great day. Love love love Cowboy Cody! those are winning images. our mama complains we don't like wearing costumes. Wowzers! Cody, you look a little scary there, which I suppose is the point of Halloween. Mom always makes my costumes, so I never know what to expect! @Marg so glad you like them and so glad you will be ordering!! Hope you have a great night! @Bunny you are lucky that your Mom makes your costumes, my Mom isn't that talented MOL! @Emma and Buster thank you! My Mom worked super hard on them! You know she has crappy photographic skills. I don't like being dressed up either, you can tell by my face and my Mom has a very hard time taking photos of me dressed up! @Luxington thank you!! My Mom and I love YOU! @Catsparella thank you!! It was my Mom's favorite for me! She said it suited me quite well! MOL! YEE HAAAWWWWW!! That's a great kitty costume, Cody! You are rockin it! @Oskar thanks my pal!! The TIGERS sure are "rockin'" it tonight!! wooo hoooooo!!! @Alittlesprite Awww that was sooo sweet!!! THANK YOU!! My Mom loved it too! You are the cutest, Cody ! You look grrrrreat! But if the Human tries anything like that with yours truly--well, it WILL be a horror show, MOL! @Au and Target Awwww thank you! You are too! Great costume, Cody! You make a very convincing cowboy. Cody, you make one excellent Cowboy my friend! Great costume and pics! @Natalie thanks!! I am a rough and tumble kinda guy! @Pixie and Possum you got it!! any excuse for a "pawty!!!" @GlamKitty OMC I am laughing so hard I can't even comment back! That was great!! You are one mighty fine cowboy Cody!!! My Hana is so smart I'd dress her up like a teacher. Then of course she would be the teacher's pet. 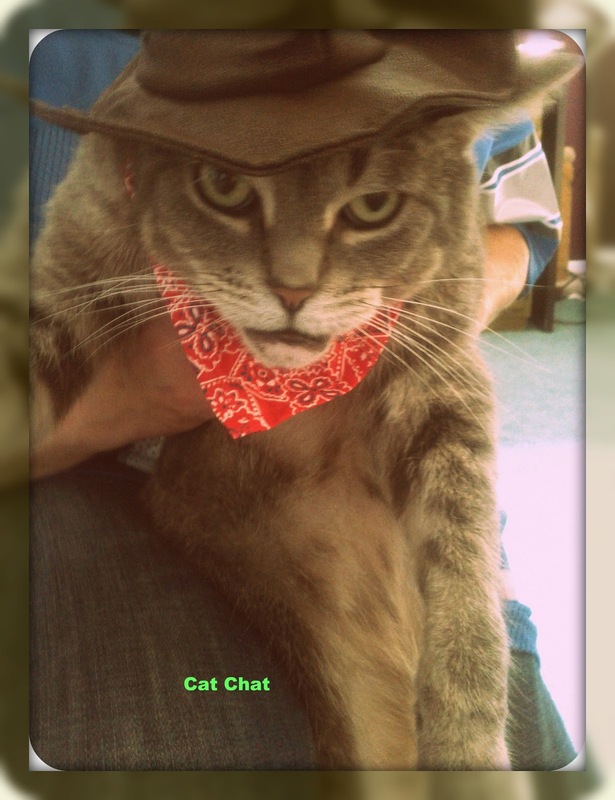 Howdy, Pardner! You make a cool cowboy!